Eight of the most unbelievably popular holiday gifts. They may seem a bit ridiculous now, but at the time, it just wasn't Christmas without them. No judgement here. I wanted/had (possibly even *cough* have *cough*) all of these, myself. 8. Skip-It Because skipping is fun, but when the alternative is tripping yourself and face-planting on concrete, it becomes a matter of survival. I still have scars. 7. Moon Shoes Because a broken ankle is a small price to pay for the chance to bounce around like a kangaroo on crack. Your insurance company thanks you. 6. Treasure Trolls Because they're so ugly, they're cute. And if you're going to have something shedding all over your room, it might as well have neon colored hair. 5. Tomagotchi All the neediness of a real pet, without any of the cuddly rewards. Three kids later, I realize that feeding, entertaining, and potty training aren't nearly as much fun as they marketed them to be. 4. Furby Because who doesn't want the world's creepiest toy of all time, blabbering at them 24/7? I still have bags under my eyes from that lil furball. 3. Beanie Babies With the tags ON! Because, one day, they'll be worth a fortune! I'm still sitting on that goldmine. 2. Books Because . . . well, duh! And, the number one gift you can give on a holiday, or ANY day, is . . . Your Time. More than any gizmo or gadget-no matter how coveted or impossible to find it is, more than any toy they'll look back on and wonder why they ever wanted it in the first place, the thing your loved ones will remember the most is the time you spent together. So amidst all the shopping and wrapping this holiday season, don't forget to relax, have fun, make memories, and have a wonderful Christmas! 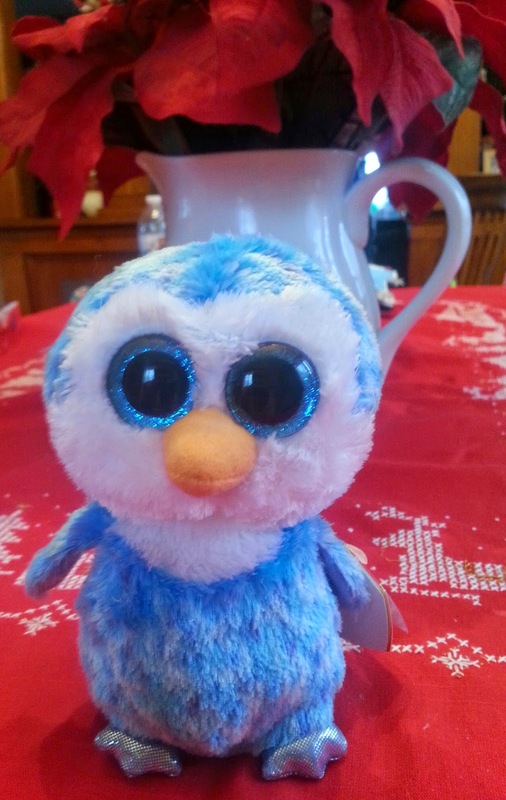 And just to help you start building your retirement fund, I'm giving away this mint condition, adorable Penguin Beanie Baby . . .
Jamie Canosa is the author of several YA books including Dissidence. Discover more about Jamie and her writing at her blog and on Amazon. For clean romance books, follow the link below!